Where Exactly Are The Hamlets Of Tower Hamlets? M@ Where Exactly Are The Hamlets Of Tower Hamlets? The London Borough of Tower Hamlets includes most of the traditional East End — places like Bow, Whitechapel and Bethnal Green. In marked contrast, the borough also contains the booming business district of Canary Wharf. There is much that can, and has, been written about this borough of extremes, but how did it get its name? Where exactly are the hamlets of Tower Hamlets? Tower Hamlets has the ring of 20th century coinage — a pseudo-historic name (like Newham or Redbridge) made up by local politicians to force together previously separate communities. In one sense it was. The London Borough of Tower Hamlets came into being in 1965, a merger of the former metropolitan boroughs of Bethnal Green, Poplar and Stepney. 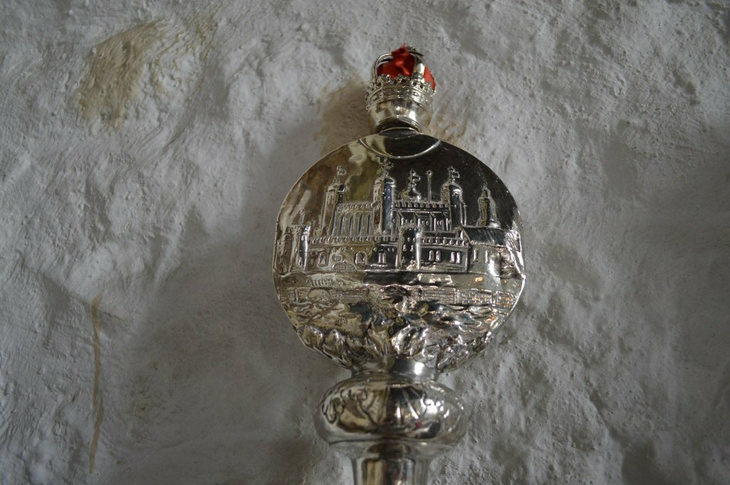 A Tower of London mace, kept in St Dunstan's Stepney — one of the oldest buildings in the hamlets. 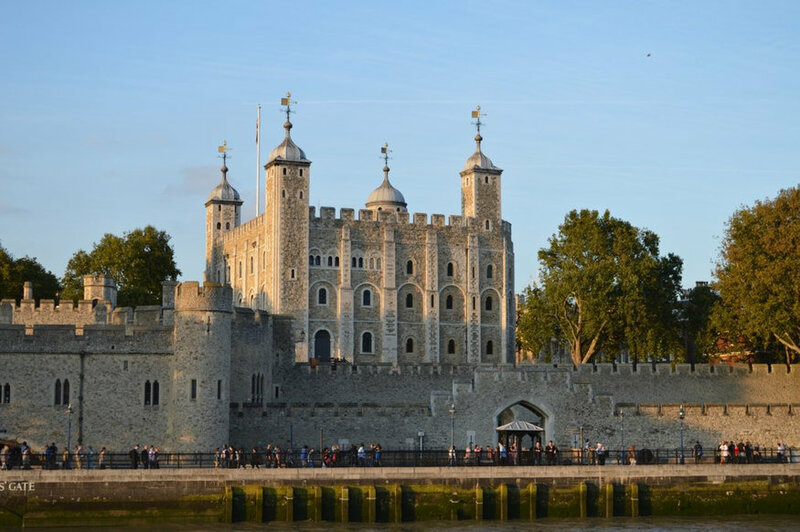 None of the villages was itself large enough to boast a town hall or mayor, so the residents looked to the Tower of London for local governance. From the early 17th century, the hamlets were grouped under the auspices of the Constable of the Tower. As the Lord Lieutenant of Tower Hamlets, he commanded the local militia, which was funded by a tax on the villages. The name Tower Hamlets stuck around thereafter, and was sometimes known as the Tower Division. By 1720, 21 hamlets were recorded by historian John Strype. 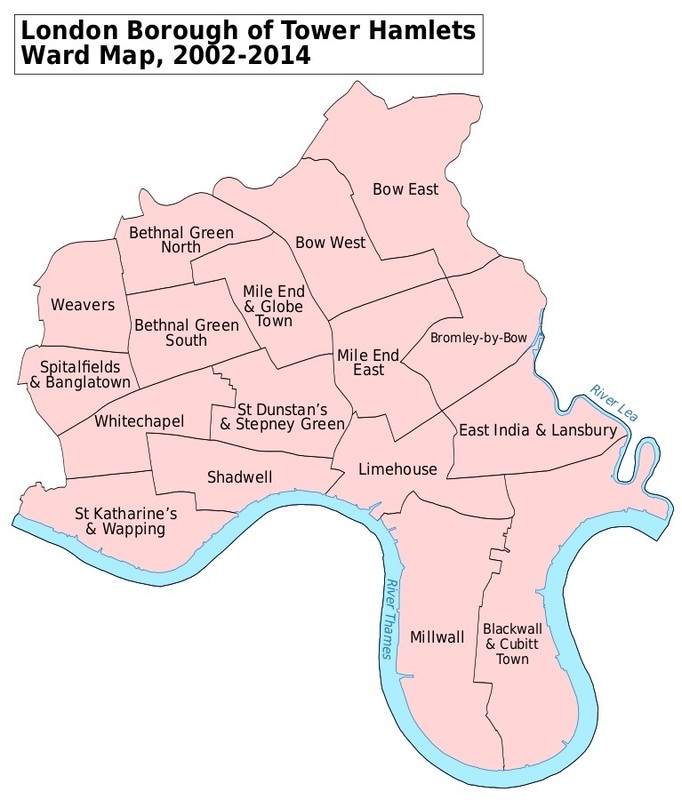 In alphabetical order these were: Bethnal Green, Blackwall, Bromley, Bow, East Smithfield, Hackney, Limehouse, Mile End, Norton Folgate, Old Ford, Poplar, Ratcliffe, St Katherine's, Shadwell, Shoreditch, Trinity Minories, Tower Liberty Within, Tower Liberty Without, Spitalfields, Wapping and Whitechapel. Tower Hamlets became a Parliamentary Constituency in 1832, and lasted until 1885. The name thereafter fizzled out and was not revived until the creation, in 1965, of the 33 local authorities we still know today. In 1974, the name also returned as a pair of Parliamentary Constituencies: Tower Hamlets (Bethnal Green and Bow) and Tower Hamlets (Stepney and Poplar). None of the original hamlets could be considered as such today. The area is now entirely urbanised into a continuous sprawl.